Every single PA terrorist in Israel's jails receives a monthly salary from the PA, courtesy of American taxpayers. 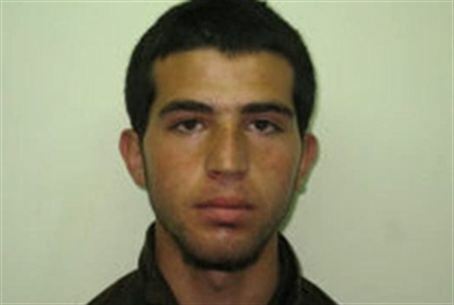 Itamar terrorist who murdered five. Every single Palestinian Authority terrorist held in an Israeli jail receives a monthly salary from the PA. Terrorists who committed the most heinous crimes – and therefore received longer sentences – receive the most money, according to a report in Israeli paper Yisrael Hayom. Citing a report received by a senior government official in Jerusalem, the paper says that the terrorists' salaries are paid from the PA's "public budget," which accounts for about 3.5 percent of its total budget. The PA treasury receives cash from two main sources: the US pays about 50 percent of the money, and the rest is mostly from European Union member nations. Prisoners who were jailed for periods of up to five years receive 1,400 to 2,000 NIS per month. However, terrorists serving 10 to 15 years receive 6,000 shekels, the ones serving 15 to 20 years receive 10,000 shekels, and those serving 20 to 30 years get 12,000 shekels. These are people who planned, directed and took part in the intentional sadistic slaughter of civilian men, women and children, at point blank range. Since some of the victims of PA terror are American citizens, the information means that US taxpayers pay monthly salaries to the people who murdered their fellow citizens. The latest US citizen who was a victim of PA terror is Ben Yosef Livnat, who was gunned down in Shechem. The terrorists' wives and children receive additional cash, and prisoners with Israel citizenship get a bonus.